Exercise is the other part of the weight loss equation. To burn more calories, you need to increase your exercise level. Some take this to an extreme and try to workout hard six or even seven days per week to lose extra weight. Sometimes too much of a healthy thing can be bad. With too much exercise, you will start to feel fatigued, lethargic and even start getting injured. Marginally increasing your exercise level is usually preferred over drastically cutting your calories. If you are already eating around 1,500 calories and aren't losing up to two pounds per week, try working out more instead of eat even less. Losing weight quicker than the recommended rate (1-2 pounds per week) will also increase the chance that the weight will come back once you end your diet and exercise. Losing more than two pounds per week requires huge changes to your daily life including big cuts in calories and huge increases in activity levels. Because the changes are so different than what you're used to, once you reach your weight loss goal, you are much more likely to start eating junk food and being sedentary because of how you've been depriving yourself over the last few weeks and months. Think of a diet in which you reduce your calorie intake by 500-1000 per day. Now think of what it must be like to cut 1,500 calories out of each day. The change to your lifestyle will be unbearable and the first chance you get to ease up on your diet, you will, and you will do it in a way that will cause you to gain even more weight than you started off with. Losing weight slowly allows you to better adjust to the changes in your life and makes it less likely you'll revert to your old ways. While it is possible to lose more than 1-2 pounds per week, doing so can put your health at risk. 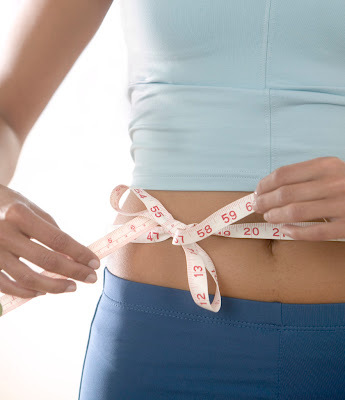 Is losing a few more pounds worth any long term effects to your body? Take the extra few weeks and lose the weight in a healthy way. You'll thank yourself later.